Las Galeras is one of the most ideal vacation paradises of the world and it is located along the Samana Province in the Dominican Republic. Its panoramic beaches, elegant beach resorts, diving excursions, and water sports adventures are a great way to know the region and the Dominican Republic. Here you can find a charming beach atmosphere, small wooden chalets facing the sea and tastefully decorated, along with meeting the friendly and attentive locals. The environment is quiet yet very wild, & the beautiful beaches around here look virtually deserted. You will be regaled with the multiplicity of the marine life on this humble fishing village where you can be able to grill fresh lobster, shrimp, or crabs & other grouper proposed by the fisherman's daily catch. Las Galeras is an excellent town to stay and travelers can live with confidence in the diversity of its surroundings and paradise like beaches. With an average daily temperature of 70 °F, Las Galeras experiences less varied or drastic weather changes all year round. The constant warm temperature and humid air during the day is a common characteristic of its weather and the locals are aware and used to it. What you should take into great consideration or something that you need to monitor, is the weather news for when in Las Galeras; it is the intermittent rains, which are also present even during the summer season that can deter any booked outdoor plans. Strong chances of rain usually occur anytime between June to November. However, the low season month of May is an ideal time to visit and explore the beaches of the city because there are fewer crowds and hotel rates are discounted. When the winter months arrive (December to April), rains are still present, but come in less regularly and allow people to enjoy the beach and try the outdoor activities. 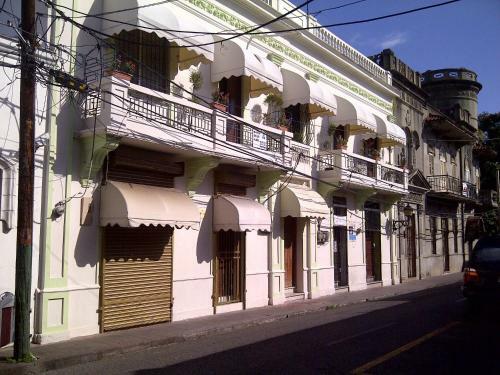 This is also an ideal time to see and explore the Las Galeras and make happy travel memories of this picturesque city. The La Playita Beach is a peaceful and beautiful sandy beach with good swimming facilities. There are several small food and beverage outlets where you can go for a not too expensive price for cocktails, fruit, fish and meat, and local delicacies. The beach is about 20 minutes walking distance from the city center of Las Galeras. Although many taxi drivers and boats offer their services towards the beach, this is really unnecessary. The trail is easy, safe, and not difficult to accomplish. Provide yourself with a mask, a snorkelling gear and you'll open your eyes to a coral reef with the finest fish selections unlike any other beaches in the Samana region. There is the possibility to rent chairs at the beach hut and even eat there. It is one of the best beaches of Las Galeras. It has good structure to spend the day, with warm water that is crystal clear. Highly recommended is a kayak tour to enjoy the view. The beach has a good structure with kiosks, a good restaurant and first class service. It is allowed to bring dogs or pets and oddly enough, it is much cleaner than Cayo Levantado where pets are not allowed. Within easy reach, both on foot (you go through in a few hotels) and car (longest road). The scenery is wonderful and the beach is great for swimming, especially for children. The Las Galeras region is good, but you need to carry cash because many establishments do not accept card due to the slow Internet connection. The beach has soothing waters and you can also have lunch at Restaurant La Playita or simply have coconut water for RD $ 50 Dominican pesos (just over $ 1) while being relaxed in a beach chair that residents / local merchants gently place for use by tourists and ask only a tip in return. It is a sublime beach that is a little touristy, but has complete beach infrastructure. There are fish, rays, turtles, and if you need to stay overnight there are resorts and chalets where you can have first class amenities at reasonable rates. The beach is large, clean, and well cared for. There are algae in some places, but it is not disturbing and efforts are done by the resort owners to keep the algae formations raked and buried in the sand. If you need to rest along the sandy beach, there are enough chairs-lanyards that are in very good condition. La Playita is a quiet cove that you will fall in love with from morning until sunset; it is indeed a little paradise in Las Galeras. Playa Madama is the ideal description of paradise; clear water, palm trees, and isolated from the hustle and bustle of the city. The beach is secluded and can only be reached by riding a horse or a boat. It is fun to snorkel, kayak, and see a variety of colorful tropical fishes in its waters. It has a mix of public and almost wild beach. Take water and snacks, but bring your own trash back with you because there are efforts to keep the beach totally trash free and to keep the waters clean and safe to swim with. There are still deserted beaches and you find them on the Samana Peninsula, near Las Galeras. If you go by boat do not hesitate to push up a trip to the La Playa Fronton. It is a paradise (if there are no crowds), fine sand beach lined with coconut trees. There is a small cave to visit which is 100 meters from the water's edge. No infrastructure to receive tourists is what makes the charm of this place more conducive to travellers. This small beach is accessible by foot, with a little effort. Plan a picnic and do not go too late to return before the evening falls quickly here. But why not pair with the visit Playa Fronton, this beach is practically inaccessible on foot, except for people who know how to walk. Choose the boat tour with a fish meal that will be prepared freshly caught by your captain and his sailors for a day. You will be enchanted by the blue sea to the horizon, a coconut beach, something wild that will remain in your memory. Do not hesitate; you will never forget these beaches. For walking, provide good shoes and casual clothing. Rudy's Rancho is a horseback riding for all levels of riders in Las Galeras. It is a nice and inexpensive tour whether you are an experienced rider or not. The owner's Rudy and Caroline are very friendly. Making reservations with them is simple and setting an appointment is properly scheduled by their staff. They speak French, English, Spanish (and perhaps more languages). You can walk in the hinterland and on the beach at different paces depending on its level. In short, it is a 100% advisable activity that is designed for the whole family. And if the horse ride does not interest you or just in case you feel pain in your back after the ride, Caroline also offers massage therapy sessions at a very attractive price. A ride on one of his horses will lead you to discover the surroundings of Las Galeras and enjoy the gallop on the beach. Before the ride you can tour and choose from his beautiful ranch with horses that are well maintained and full of other animals. It is close to the Grand Hotel Paradise. The horses are treated very well and they frolic freely on the lawns of the hotel and let themselves be petted. Rudy also comes in when he is available and will help you admire these horses along with the stunning scenery of Las Galeras in an unforgettable tour of 4 hours. Rudy is a charming young man, friendly and professional; be sure to look for this horse riding adventure and beach tour provider when in Las Galeras. In short, he is a great guide that will make you love and understand the fun loving culture of the people from the Dominican Republic. The Las Galeras Divers are composed of a group of professional divers and managed by a Swiss couple named Serge and Christine. It is an excellent dive center in Las Galeras. Serge is a certified professional in their field and has a ready backup plan because the weather changes quickly in the Atlantic and the planned dive had to be planned the day before. They have high-quality equipment and very funny boat captain. The owners are two passionate people who are dedicated and involved in their work. They will make you feel safe and clearly you will not be disappointed with the services offered. If you want a warm welcome and a constant good humor while taking the scuba diving and snorkelling adventure, it is the ideal address for a small sea trip in the waters of the Samana Province. As an added feature, the photos available for this wonderful experience will remain etched in your memory. What made this tour more interesting is the diver’s emphasis on safety and the need to respect our environment with the sincere drive to rid the coastal waters of non recyclable trash. 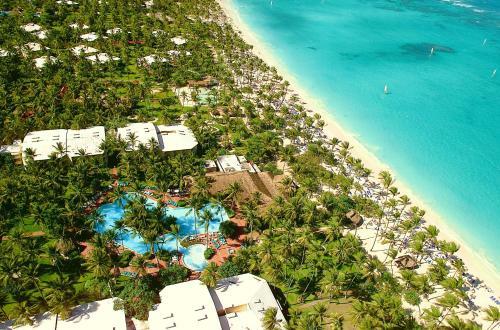 The attentive treatment of their guests is excellent and at the same time they try to protect and educate their countrymen to preserve the marine environment of the beaches in the Dominican Republic. The Dive Academy offers a magnificent sea trip in the ocean floor of the Las Galeras. It is a memorable tour, especially for the first time divers. Audrey and Paul are two lovers can share their experience with every pros and beginners. You will be amazed by their friendly human spirit. The scuba diving expedition includes an excursion on a ship wreck area. This experience and the safety of their equipment will make you want to further explore the world of diving to greater heights. Their teaching method is gentle, accessible, and you feel safe at all times. They have proven methods to erase your periods of apprehension and they will help you to explore or discover exceptional sites (wreck trip to Playa Fronton). The meals (ceviche and fish fillet cooked in banana leaves) are prepared by Audrey on the sands of Playa Fronton, which gives an impression of having a "Robinson Crusoe" moment in the island of Las Galeras. Paul and Audrey are welcoming and full of humor, unforgettable, and above all great people. The best part of their diving expedition is the journey to an old wreck site filled with thousands of colorful tropical fish. It is definitely one of the best highlights when exploring the waters of Las Galeras. To reach Playa Fronton, you need to take a boat from Las Galeras, which take about twenty minutes. It is a dream beach surrounded by high cliffs and crystal clear water which invites to snorkel. It is a striking Caribbean bay without algae, but it has strong currents. The so called great rock faces the beach directly. There are many beautiful palm trees and you can swim in its transparent and clear waters. You can only arrive at the beach by the sea and although it is worth a visit and snorkelling is pretty cool. Do not neglect and stay tuned with the guidelines of the guides not to pass the barrier reef, because the sea on the other side the barrier has strong currents. With Joel and Ludi‘s Excursions, you can make 3 boat trips and a quad output adventure into the jungle with Joel and his team. Each trip guarantees a day full of good memories hiking between beautiful beaches, little corners of paradise, corners lost in the middle of nowhere and breathtaking panoramas of the Las Galeras. Joel is very nice and gives guests a lot of attention, making everyone feel privileged. In short, do not hesitate and you will not regret any moment of his excursions which are all special to do while in Las Galeras. The quad bike tour for $ 60 per person a day passes through villages, cocoa plantations, fruit farms, to Playa Rincon and the La Playita Beach with very good lunches in the restaurant of Playa Rincon. With their skilled guides, you can spend an amazing day with breathtaking views, beautiful landscapes, the discovery of the country's national fruit and lots of free time for swimming. You can trust this nice couple to help you discover the most beautiful places in Las Galeras. The Cool Raoul Excursions provides an unforgettable holiday in Las Galeras with Team Cool Raoul, who will introduce you to the natural wonders of this remarkable area. The tour includes trips to La Cascada del Limon via quad ride that passes through beautiful beaches and the discovery of the daily life of being a local in the Dominican Republic. His trips are of great quality and offered at a very reasonable price. Feel free to meet and he will give you tips on how to best enjoy the other parts of the country. The quads that are built for outdoor tours are in perfect condition and very easy to drive even for novices. Raoul is highly recommended because he is always smiling and a true professional in the tour guide industry of Las Galeras. This guide can give you an unforgettable holiday in the Samana Province and the best thing about him is that he has ways to get you fully immersed in the local culture. The El Cabito can be easily accessed on foot. It is along the coastline and the trail starts from the hotel "Grand Paradise Samana". This site faces the sea from the right, the trail is very well marked and you need to walk more than 20 minutes, which begins under the coconut trees that are accessible if you cross a dirt road. The path rises a little to the left along a dry stone wall and you will arrive at the site that combines restaurant, lodging in huts, and a bar-restaurant that is suspended above the waves. The waves break thirty meters below the platform built into the cliff, making this tourist site a beautiful gazebo where you can watch humpback whales even from afar. The platform covered with a palm roof offers small tables, low chairs and hammocks where you can taste the sweetness of life or have a glass of a Mojito drink in one hand while enjoying the majestic view of the Caribbean Sea. The El Monte Azul is an impressive tourist attraction in Las Galeras. First, you will be delighted by the unique view; an extraordinary 360° panorama where you can admire the red orange sunset colors spreading over the bay of Las Galeras, Cabo Cabron, until the Samana Bay. Second, you will discover an intimate restaurant that is elegantly decorated and surrounded by cactus, and colorful bougainvilleas. Third, you will meet the charming owners, Vanina and Peter, their little boy and finally their pet parrot; Samantha who always makes a scene and tickle the funny bones of their guests with her amusing antics. The menu includes a wide selection of Asian dishes (Pad Thai, green papaya salad, etc. and you can choose the level of spice), but you can also try different dishes using fish and meat. Cocktails and meals are presented with care, in short, an exceptional moment and refinement that is all too rare in the area. Hats off to this couple who made the best of this fantastic location which is well worth a visit while in Las Galeras. An island holiday destination that is too hard to bypass when in the Dominican Republic is the Las Galeras. Anywhere you go around this island guarantees an appreciation of its infinite nature. Package tour or group excursions must be booked in advance at least a month before your arrival in Las Galeras. It is necessary to take warm clothes, because the ocean breeze brings in strong winds. If there are heavy rains - many taxi drivers refuse to go because the roads are steep and dangerous. However, despite the unpredictable weather condition at times, the island remains one of the most visited attractions in the Dominican Republic.